MLA Srinivas Goud spoke to Tourism Department personnel, who have been working to save the tree from last couple of months. 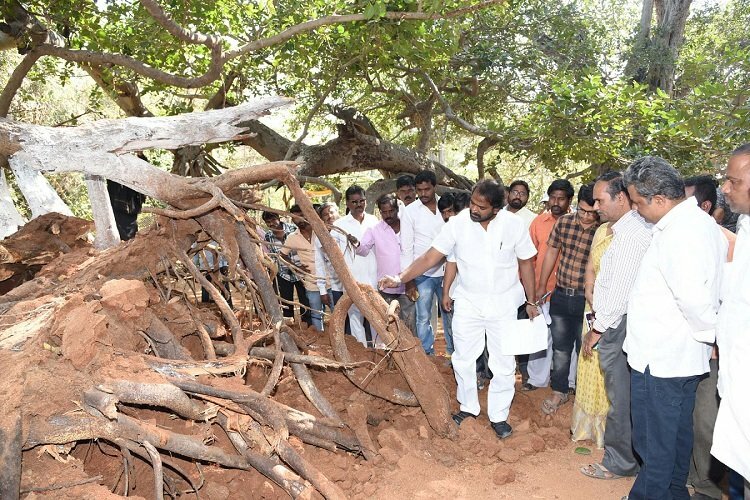 Mahabubnagar: MLA Srinivas Goud paid a visit to the Pillalamarri banyan tree on Thursday and took stock of the condition as a part of the 700-year-old tree fell down earlier this week. He spoke to Tourism Department personnel, who have been working to save the tree from last couple of months. He said Agriculture, Horticulture and Forest Departments needed to work collectively to save the tree. He said part of the tree which fell would not be removed and steps would be taken to treat the tree there itself and let it keep regrowing from where it fell. District Collector Ronald Rose also visited the tree after it fell down. 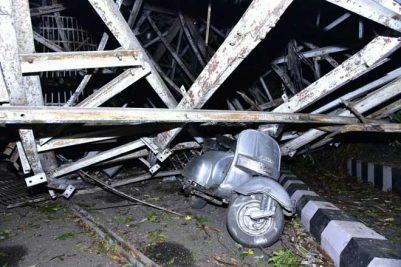 He ordered immediate closure of the tree for tourists for next three months, till all preventive measures to save the tree were completed. However, tourists can still see the tree from outside the gate, without entering the premises. 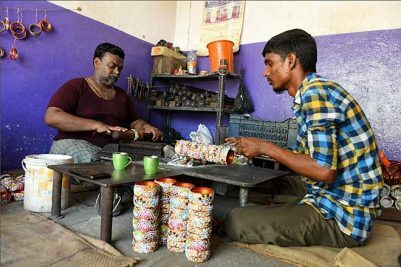 All other tourist attractions at the Pillalamarri Tourism Centre like the District Archaeological Museum, District Science Museum, Mini-Wildlife Sanctuary, Reconstructed Rajarajeshwara Swamy Temple, Meditation Centre and the Children’s Park would be kept open for tourists.